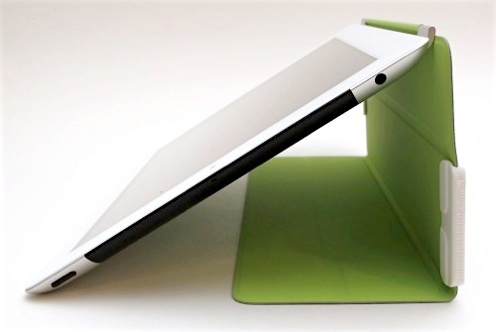 The Smarter Stand for iPad was a kickstarter project that is pretty interesting. Once I saw it available on Amazon, I ordered a couple packs and I’ve been happy with it. 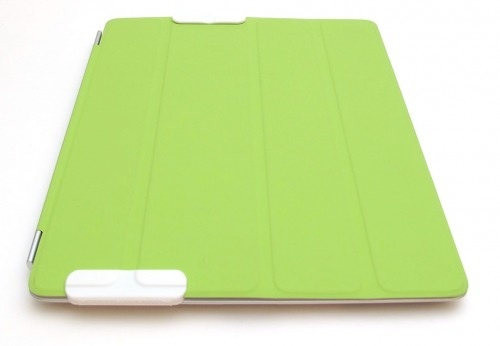 Basically, it’s two clips that clip to the side of your smart cover, and small piece of rubber that sticks to the bottom edge of the iPad. The rubber is easy to remove at anytime without leaving marks. These clips give the smart cover a little more usefulness, and also keep you from carrying too much around to accomplish different tasks. 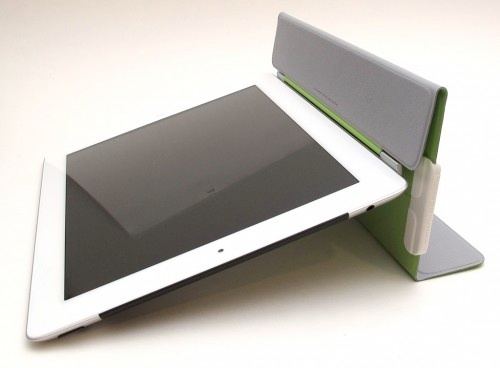 The Smarter Stand works well, and the different modes are quick switch between. My only real complaint is that a leather smart cover tends to take a beating with them, compared to the other smart covers. But that is just some lines and is minor really. 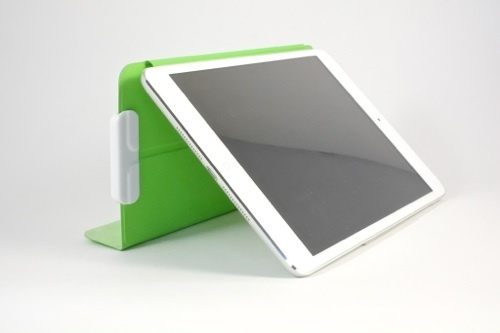 The Smarter Stand is a nice addition to your iPad tool belt, and definitely worth checking out.